Banpresto's new Dragon Ball series inspired Blood of Saiyans figure collection highlights that triggered moment when opponents knew they were about to have major problems. 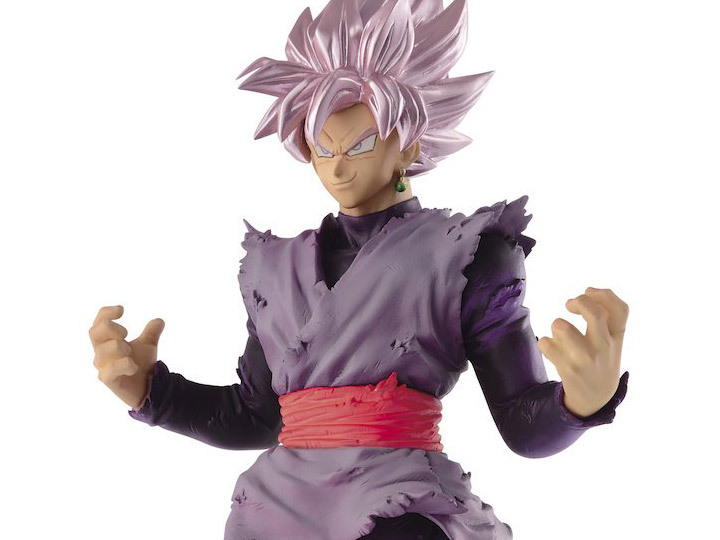 This newest entry into the figure line features Goku Black from Dragon Ball Super. 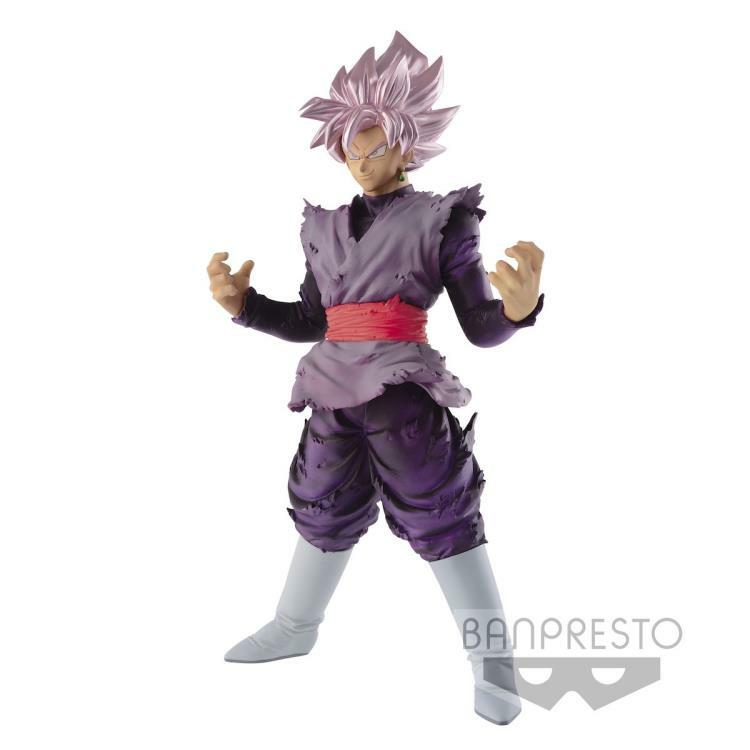 Having tormented the future timeline and thoroughly confused our heroes, this villainous version of Goku erupts into a godly form never before seen by his victims, Super Saiyan Rose! Captured in incredible detail, figure fans will easily sense the power it represents in there collection. Standing at 7.1 inches tall, this figure comes with its own foot base support for secure standing.